To grape stomp or not to grape stomp? Who doesn’t love the “I Love Lucy” episode where she is running around stomping grapes! 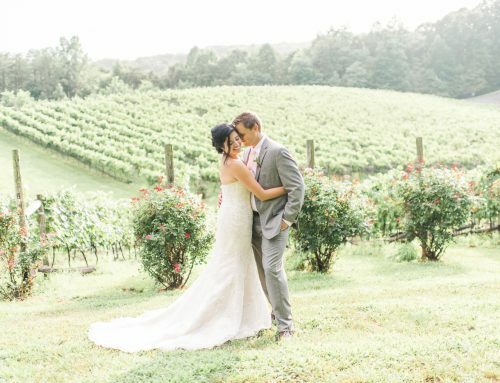 This adorable moment has become an iconic part of the wine making tradition; and it’s become a unique wedding tradition here at Potomac Point Winery as well. 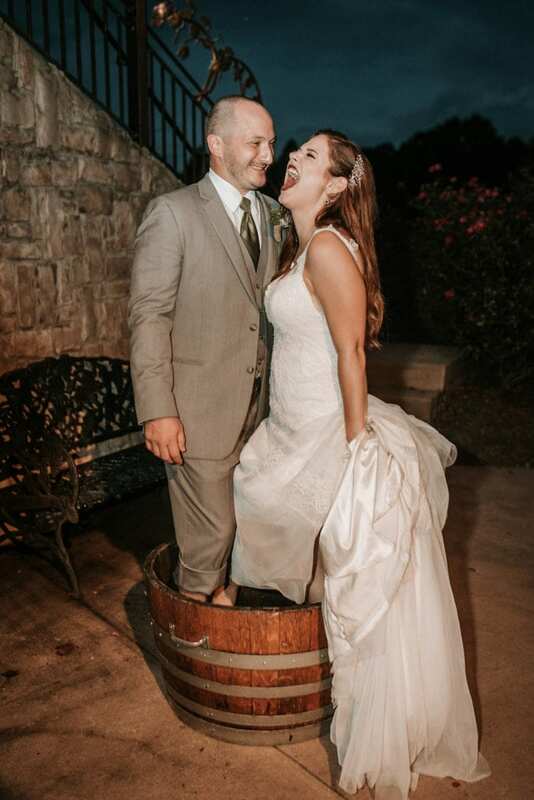 What is the purpose of grape stomping now? Pure fun. How many people do you know that have actually stomped grapes? 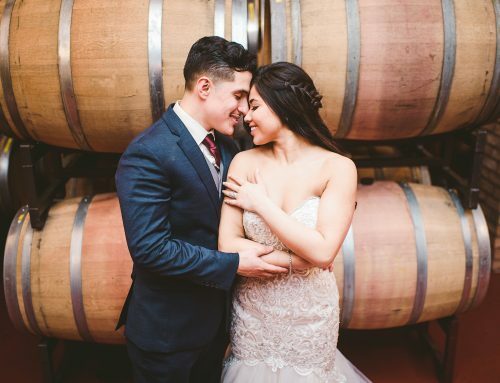 On a day of so many firsts, traditions and memories, why not throw in another unforgettable experience and get some amazing photos in the process! What does it feel like? It feels gross, but in an “I can’t stop laughing” kind of way. Let’s face it, a day of posing for photos and staging smiles doesn’t always capture those candid laughs. This is the best way we know how. 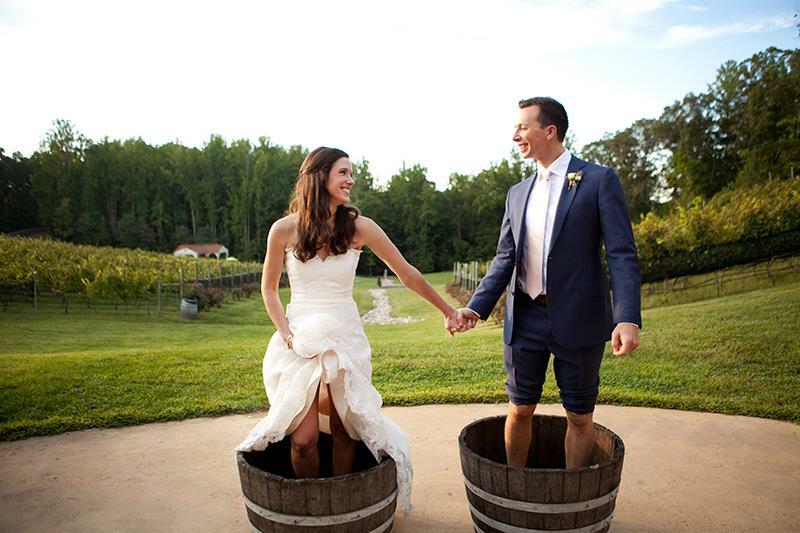 Hop in a bucket full of grapes, stomp away with your new husband and let the good times roll. Will it ruin my dress? Absolutely not. 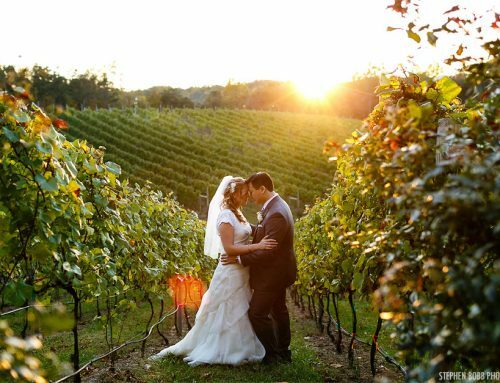 For our brides we use store bought grapes, which are mostly comprised of water. They don’t have the same color juices as our vineyard grapes. Not to mention, we have a bucket of water and towels waiting for you right behind the scenes. 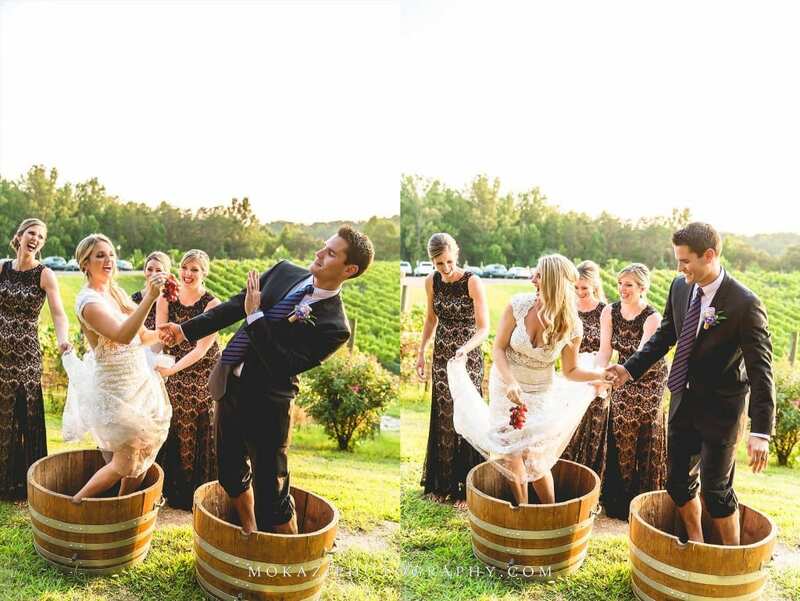 Grab a few bridesmaids to hold your dress up, jump in, capture the moment, clean off and head back to the party. It’s that simple! 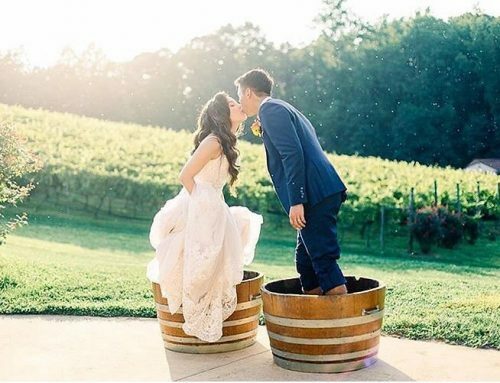 Take a peek at some of our favorite grape stomping couples! 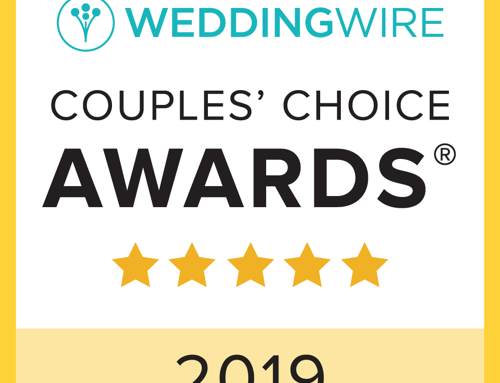 They CRUSHED it!